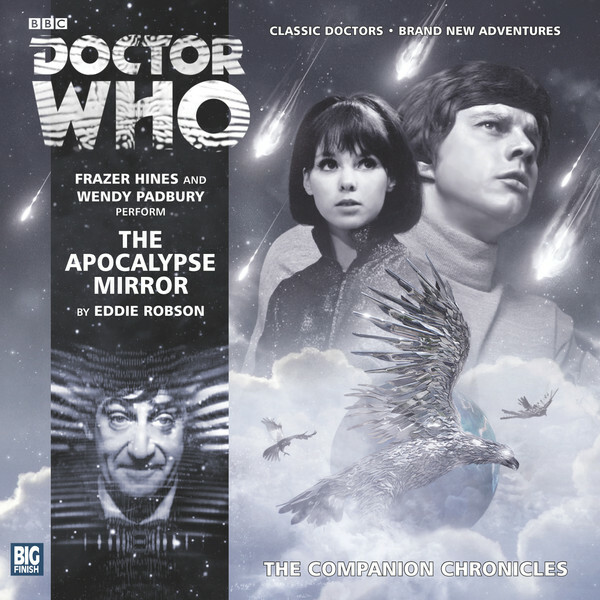 This may not be the most memorable adventure that Big Finish has ever put out, but it is terrific to have a three-hander between Frazer Hines, Wendy Padbury and Frazer Hines – for those to whom that’s confusing, Hines is once again giving his sterling rendition of Patrick Troughton’s Doctor. It’s a good foretaste of what’s in store with the Early Adventures line next year. Eddie Robson’s story has a neat idea at its heart, which gives an opportunity for all three of the TARDIS travellers to take a bow in the spotlight. It’s one of those stories that to say too much about the central conceit will spoil the reveals (the cover gives one away! ), but there are plenty of twists, and a few characters whose apparent stupidity makes sense eventually. This is a play that needs careful and clever handling, which it receives courtesy of director Lisa Bowerman and sound designers Richard Fox and Lauren Yason. As with The Lady of Mercia, you’re never unclear which location you are in, particularly in some of the key scenes in the second part.